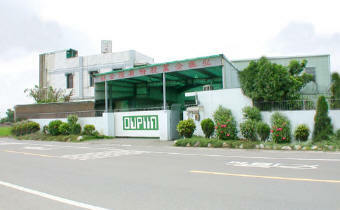 With only six employees, Oupiin began in 1977 as a small manufacturer of plastic molds for many of Taiwan's large connector manufacturers. Enjoying steady growth and recognition, Oupiin soon began drawing worldwide attention. All of our products are precisely engineered and subjected to thorough testing and tough working conditions. Our automated manufacturing process is integrated with a rigorous quality control system. By combining precision equipment with a highly skilled and motivated staff committed to perfection, Oupiin can provide products of uniform excellence and reliability at competitive prices. In fact, it's our continual emphasis on quality control that has awarded us the distinction of being a registered ISO 9001 company! By Oupiin being designated as an ISO 9001 company, clients can rest assured that all parts meet or exceed industry quality standards. Besides quality control, one of Oupiin's top priorities is to participate in the necessary safety standards as specified by UL, CUL, CSA and other foreign agencies. Quality parts are only one measure of Oupiin's success. Oupiin is in the business of providing customer satisfaction. To ensure that, Oupiin maintains high quality standards at all levels of our operations, and we pay close attention to all of our clients' needs from product innovation to delivery. Sophisticated on-line management systems along with well trained and dedicated customer service personnel give Oupiin the ability to respond to customer orders in the most efficient way possible and assure customers the most timely delivery available in the industry along with complete follow-up technical support. Oupiin also takes pride in its ability to create custom products according to customer specifications. This service is available to all of our customers by contacting their sales representatives. By offering a steady stream of new connector products each year, Oupiin has continually increased its production volume as well as gain some of the top companies in the world as their clients.